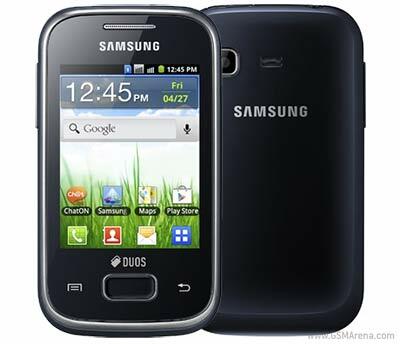 Samsung is the only front runner company regularly releasing dual SIM Android phones for various markets. And things are becoming much easier for you to choose when Samsung announced that a duos version of Android Galaxy Pocket will be available soon. And like the original Pocket, Pocket Duos will be the cheapest dual SIM Android phone in market. The Samsung Galaxy Pocket Duos has a 2.8-inch QVGA display of 320 X 240 as usual, which we hate most. It has a 832MHz single core CPU with 2GB internal memory running Android 2.3 Gingerbread. There’s only a MP snapper covers the back of Galaxy Pocket. Samsung Galaxy Pocket Duos has a 1200mAh battery which Samsung says is good for 15 hours of talk-time in 2G and 6 hours in 3G. The pricing and availability of the Galaxy Pocket Duos are yet to be confirmed. But my assumption is that Samsung Galaxy Pocket Duos price will be around $120-$130 when released.